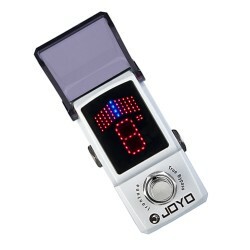 JOYO digital guitar clip-on metronome tuner is a fully functional tuner with guitar, bass, violin, ukulele or chromatic modes allowing tuning of practically any instrument. It is also an advanced metronome, allowing you to practice perfect timing at any tempo with various different preset rhythms. Whether you are a beginner or advanced player, being in tune and getting familiar with the beat, at all times they remain the essential starting point for any musician. But the main quality that sets professional musicians apart from the crowd, is the ability to play in perfect time with ease. You can master both skills with this great gadget, the JMT-9006 Tuner/Metronome. 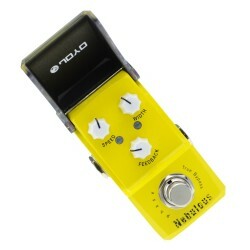 A fully functional tuner with guitar, bass, violin or chromatic modes allowing tuning of practically any instrument. 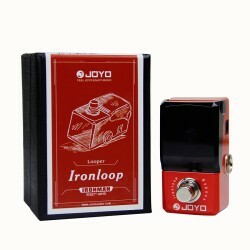 It is also an advanced metronome, allowing you to practice perfect timing at any tempo with various different rhythms. Practicing with a metronome locks in and tightens up your playing. It is an objective measure of your progress over time. Increase the tempo a few notches while keeping perfect accuracy and you'll know for sure that you've improved! The JMT9006 is tiny in size, but with super bright clear backlit blue screen and large letters. 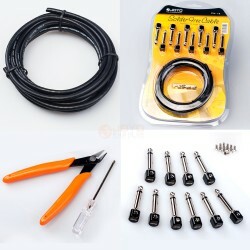 It works from CR2032 3v battery power and comes with full instructions. The unit has built in speaker. For tuning up on stage, the JMT incorporates a bright blue backlight. The JMT is tiny, at just over 2 inches width, 1.5-inch high and 1 cm deep. It works from CR2032 3v battery power (included) and comes with full instructions. 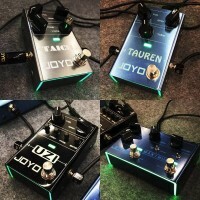 For tuning up on stage, the JMT incorporates a bright neon blue backlight which can be turned off or on. Available in black colour. 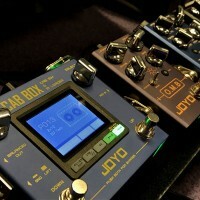 Dimension: 3.15" x 2.56" x 1.18"
JOYO JMD-5 practice drum pad is a great tool to hone your drumming skills. 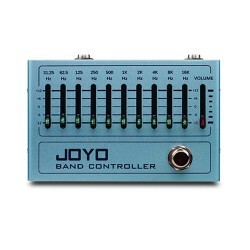 The rubber playing surfac..
JOYO JMT-9000B 3 in 1 digital LCD guitar bass violin chromatic metro-tuner metronome tone generato..